1. I created our route through Google Maps and then put all of our stops on TripIt. TripIt puts everything for your trip at your fingertips and in chronological order. Makes it so easy! 2. I then researched stops along the way. One of my favorite websites to find wacky and interesting stops is Roadside America. I found some that would be easy to access, interesting for the kids, and would be at good stopping points along the way for a quick break or picnic. 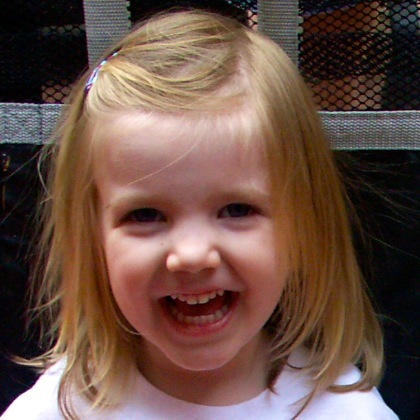 We had a crazy amount of fun with these stops…the kids were always wondering what was next. It was amazing how much it broke up the trip and added spice and variety to a very long drive. A spur of the moment stop because the sign said her name! 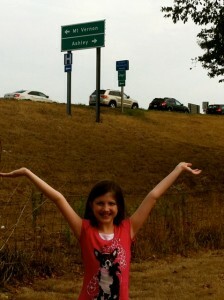 We had to pull over and get a picture. Getting gas in Limon, Colorado and look what we found inside the gas station! 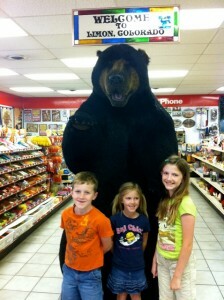 Kids were so excited and the owners said everyone takes a picture with the bear. 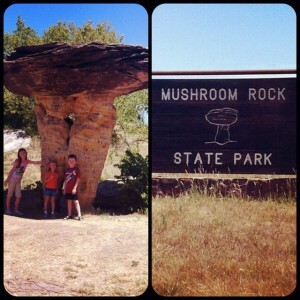 A slight side trip to Mushroom Rock State park. We stopped at subway and ate our lunch while exploring the park. 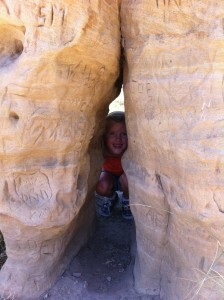 The kids loved seeing the interesting rock shapes and the initials from years past. 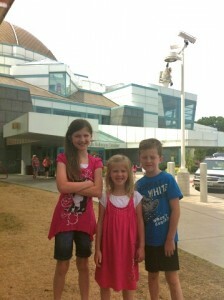 The St. Louis Science Museum--a planned stop to get the wiggles out. Great museum! Metropolis!! 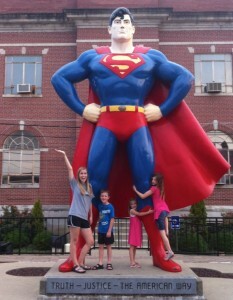 Had to see the giant Superman statue. Worth the sidetrip. There was a cool store next to it, but it was closed...darn it! Word of caution: carefully watch the street signs and make sure to only go the correct way on the one way street there. We got to make friends with a policeman (luckily we got off with a warning). -I had wanted to stop at the Wonder Tower in Genoa, CO, but we got a late start. It looked super quirky, but in reviews people said they really enjoyed it. I think we had a few treat/drink stops in there too. I think that was it! Some of these stops we probably wouldn’t do again (Mushroom state park was a little too much of a detour and once was enough) but because of these stops, we all sure remembered that drive and the memories we made. I also liked that we had some flexibility in our itinerary so we could go with the flow if needed. I have a passion that it is not just the destination that builds memories, but the journey can and should be filled with them too! 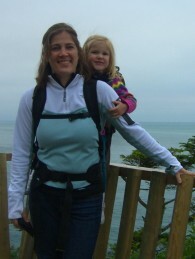 Thanks to my sister for helping to make these memories with us. Any crazy or funstops you have done? I need to put some on my list. When we get back to the states- this is a must to do! Previous post: Haha…greatly underestimated moving!